Wow! This is such a strong experience that I can totally relate with, I visited two concentration camps of which one was Auschwitz-Birkenau and I cannot even explain how powerful the whole experiences have been for me. No matter how sad and painful it was to walk around these camps, I’m glad I went, it’s an horrible part of our history that doesn’t have to be forgotten. Thanks for your comment, Franca. I can only imagine how emotionally powerful it must be to visit Auschwitz-Birkenau, which was actually much worse than Terezin. I can’t say I “want” to go there, but I plan to. I think it is something everyone should be made to see and understand. We owe it to the millions who died. Yes, the children’s pictures. A real kick in the gut. But I am gad they woke me up from my coma. We need to FEEL the full horror of what happened to be sure it does not happen again. I visited Dachu in 1967 a short 25 years after this camp was in use. I had similar emotional experiences seeing the bunk houses, photos, the ditch around the perimeter with guns pointed at it and a clear message that if you enter this ditch, you will not live to tell about your escape attempt. Thank you for sharing your visit to Terezin. I have not been there but I did spend a day at Yad Yashem, the Holocaust Museum in Jerusalem. It tells the story of Hitler’s plan to exterminate the Jews and other groups like the Roma and gay people, from the rise of Nazism through the trial of Adolph Eichmann in the 1950s. The grounds are huge; they house a cattle car that was used to transport people to the camps, memorials to those who were slaughtered, gardens honoring the righteous who often lost their own lives trying to save others, and a host of other tributes and memorials. The Memorial to the Children is striking: you enter a darkened building – it is really pitch black – and all you can see are hundreds of thousands of tiny twinkling lights on the ceilings and walls that surround you in a 360 degree circumference. You really do stumble through – in part because of the darkness and in part because of how moving an experience it is. I think the fact that visitors find themselves stumbling is deliberate, an effort to mimic what it might feel like to be lost in years of a horrible darkness that descended over Europe in the 30s and 40s. Thanks again for your heartfelt description of your visit there. I forgot the check the box to be notified of future comments. I’ll check it now! Thank you for a such a long and thoughtful comment, Elaine. I have not been to Yad Vashem, but your description makes it sound heart-breaking and very well designed for maximum effect. And that is exactly what we need… maximum effect. We need to have this horrible piece of history shoved in our faces so we are made to face the fact that this actually happened. And that it is STILL happening in the world today. People are still being killed. Genocide still happens. We need it to stop. And I believe the only way that can happen is for the world to be reminded of the horror over and over, brutally if necessary. Thanks again. This is a beautiful piece of writing about a disturbing experience. You took me along with you. I can understand feeling numb.at first. It may be the body’s way of protecting you. By the end I felt almost as nauseous as you did. 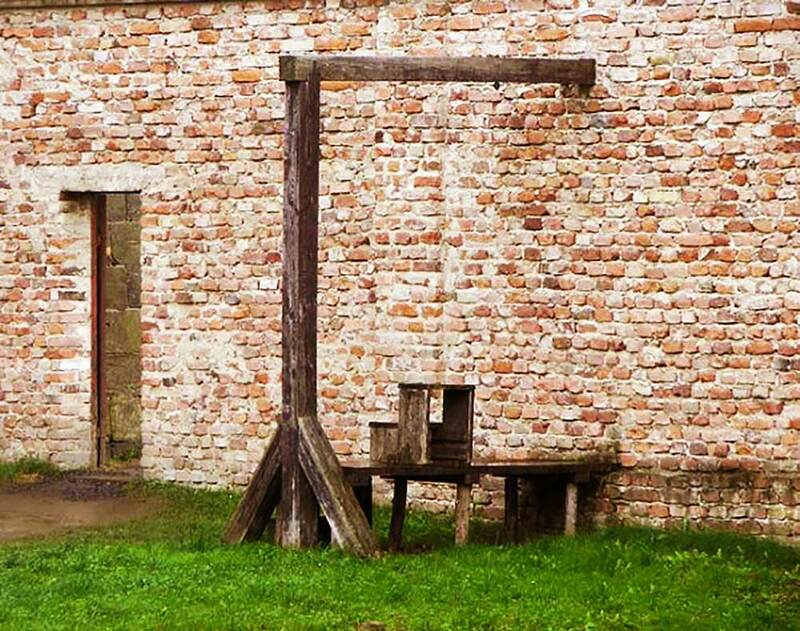 I don’t know if I could handle a visit to a place such as this, but I do think we need to reminded of the horrors in order to strengthen and reawaken resolve to do what we can to prevent future atrocities. Even after many years this is still heartbreaking. Especially when thinking of the children and seeing their innocent artwork. You have done a very good job of conveying the feeling of your visit to Terezin. 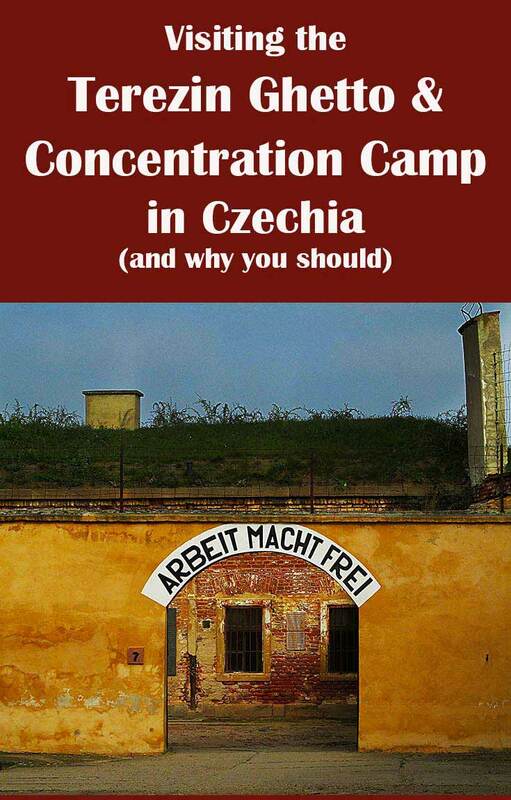 I have never been able to bring myself to visit a concentration camp, and though your post about the Terezin Ghetto and Concentration Camp outside Prague was well worth reading it hasn’t changed my mind. I can understand that, Carole. Actually, though I had thought about going, I had pretty much decided not to. Then my ex, who is Jewish, basically challenged me to do it and said he would pay for the trip. He said he would never be able to go himself and asked me to do it for him and report back. I’m glad I went. It made me laugh so hard. It’s so wrong but at least someone had a sense of humor. I’m still trying to work out whether Prague is more Russian or German. It’s certainly not very Czech. To quote a discussion with a professor, Prague is about as Czech as NY is American. What was it that made you laugh so hard, Arnie? The story about the concentration camp? I’d love to know why. As for New York, since I lived there for 20 years, I think I’d have to say that New York is at least as/perhaps MORE American than a lot of the rest of the country. How can 8 million US citizens in one place NOT be American? This is such an excellent and beautifully-written piece. I could totally relate to your emotions and reactions as I read it. Thank you for sharing your thoughtful insights and personal perspectives. 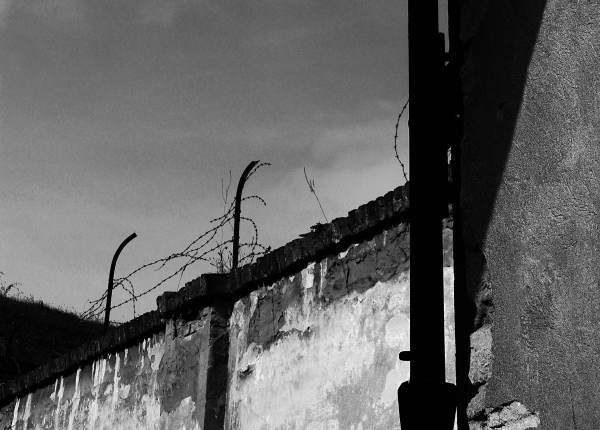 I didn’t know about Terezín ghetto and concentration camp although I’ve been to Prague. I appreciate learning about it and will make a point to visit next time. Thank you, Cathy. It is an easy day trip from Prague. I didn’t really want to go, but I just felt I had to. I’m glad I did. It is always so emotional to visit places like this. You did a wonderful job of capturing the stark feelings. Thanks Veronica and David. I appreciate the supportive comments. Writing it, though difficult, was good for me. Thanks so much for that gripping post. Yesterday, I visited a plantation in the South and had a similar feeling of disgust that was chilling. The story of these atrocities needs to be told again and again so people never forget. I don’t know either, about the McDonald’s, but it is disturbing to think about that. 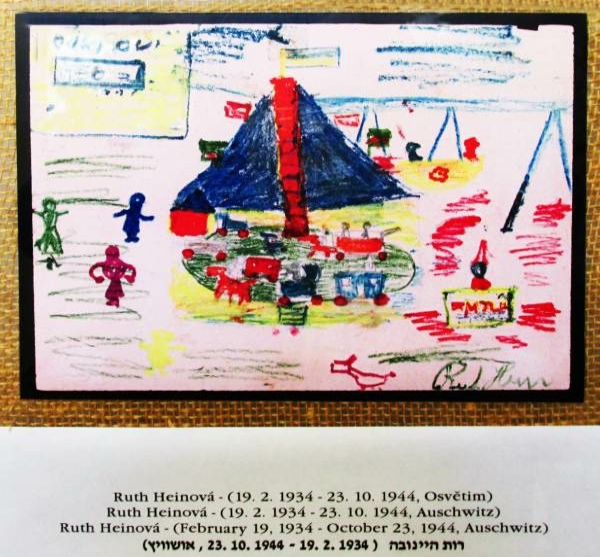 And I think younger visitors perhaps feel less of a connection to the horror of the Holocaust. 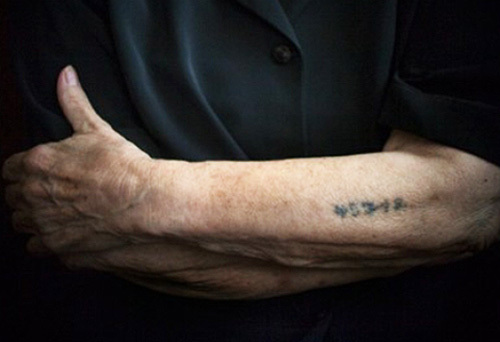 I have actually met and spoken with people who survived the camps. That makes it very real for me. Donna- Your piece is so moving, I hung on every word. 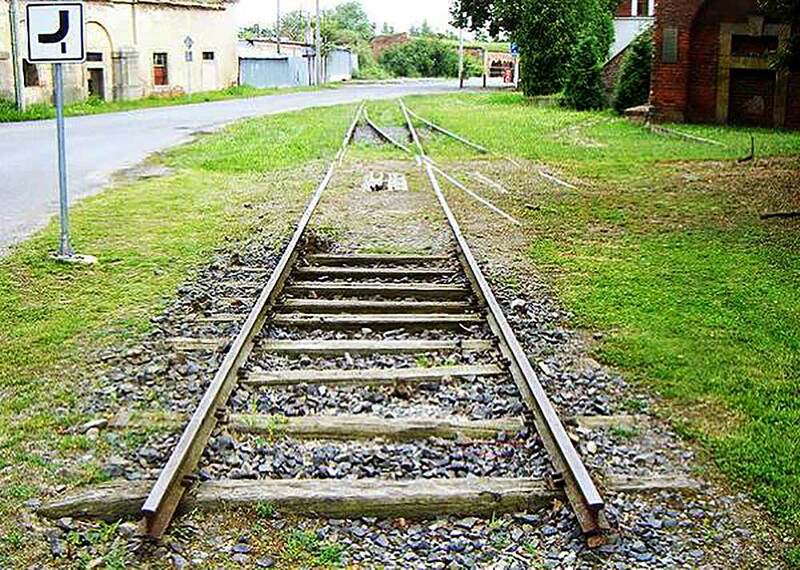 My son visited Auschwitz when he was in high school and came back visibly changed. The heartbreaking story you have written helps me to understand his emotions more clearly. Like Irene, I recently visited a plantation in the south and was shocked to see how much of the history had been “creatively” told. Perhaps the lack of honesty keeps the healing process from moving forward. These atrocities certainly need to be told and retold so everyone remembers. Thank you, Alison, and everyone who has commented, for your supportive words. This post was difficult to write… because I am not used to putting so much of myself into what I write (Here’s a hint: I used to write romance novels!!! HaHa!) But writing this piece, and the positive feedback I have had from it, makes me want to do a lot more of this kind of introspective essay writing. I appreciate the feedback from all of you more than you know. Yes! As a docent at a local holocaust memorial, I was very disheartened when a group of middle schoolers came to the memorial. Why? They were so ignorant of current events that they knew nothing of about any of the genocide happening in today’s world. I was surprised that the teachers – who did a several week unit on the Holocaust – did not help them understand that. It took me decades to work up the courage to go to Yad Vashem but I am very glad I did. Well done. This is deeply thought out and beautifully written. 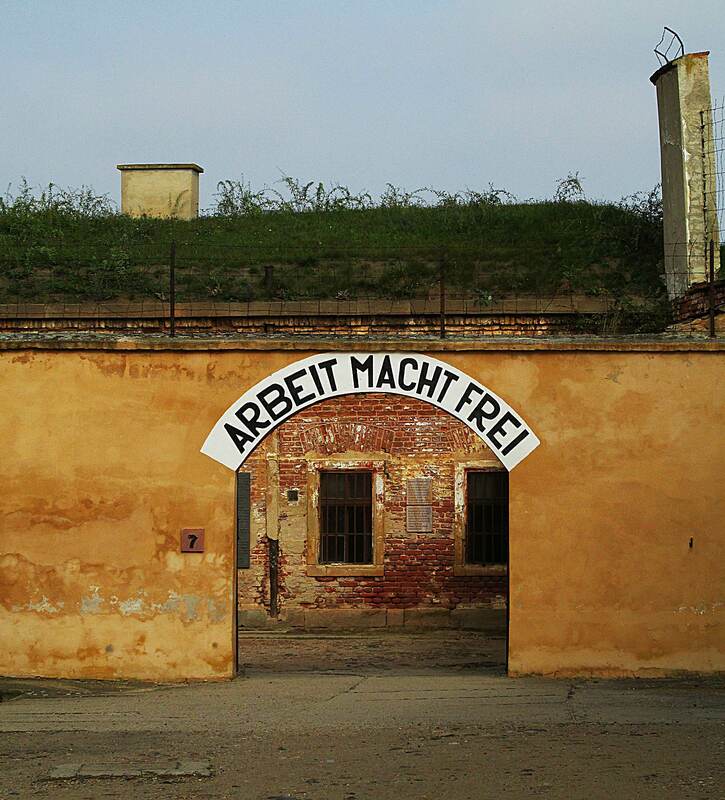 Your experience at Terezin is everything that ours at Auschwitz was not. Thank you for sharing your experience. Thank you, Lance. I appreciate your comment. Beautifully written, Donna. I didn’t realise that they had that “Arbeit’ sign over all the camps. I’ve never been to a concentration camp as I was not sure I would cope. 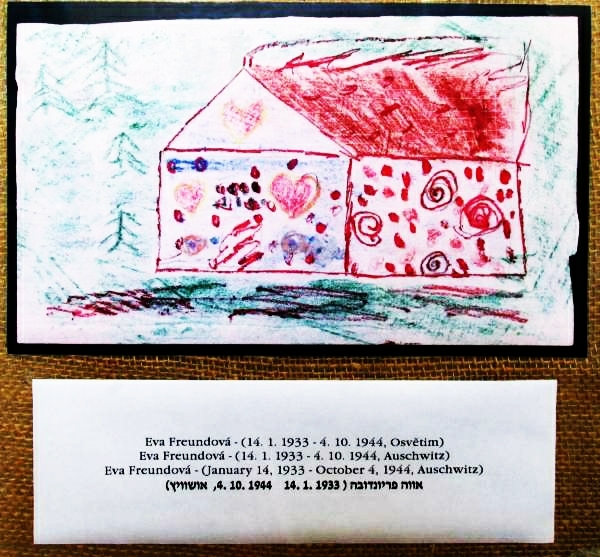 I cried through the Jewish museum at Prague (which was turned into a Holocaust memorial and had children’s drawings as the only testament that they ever lived as well). Just so horrible. But I agree must be visited to ensure history and those that died are remembered. I’m sure I’ll take the kids when they are older as we have only just touched upon World War II in our travels (the Anne Frank House and the Normandy cemeteries). I’ve never heard of Terezin before but maybe that would be a better place to start with them than Auschwitz. Thanks Shobha. Yes, I think Terezin would be a good place to start, especially if the kids are still youngish when you go. It is effective, but at least you are not looking at piles of shoes, mountains of suitcase, mounds of glasses, all representing people who owned them and then died. I also knew very little about Terezin before I went. You might have heard the name Theresienstadt. That is what the Germans called it. I now know far more than I wish I did about it. It haunts me. I love that many concentration camps have been preserved until today. We need to see them so we never get back there again! I so agree, Maria. It was such a haunting reminder. And we need to remember. Forever. I am incessantly thinking about this. Thanks for posting.